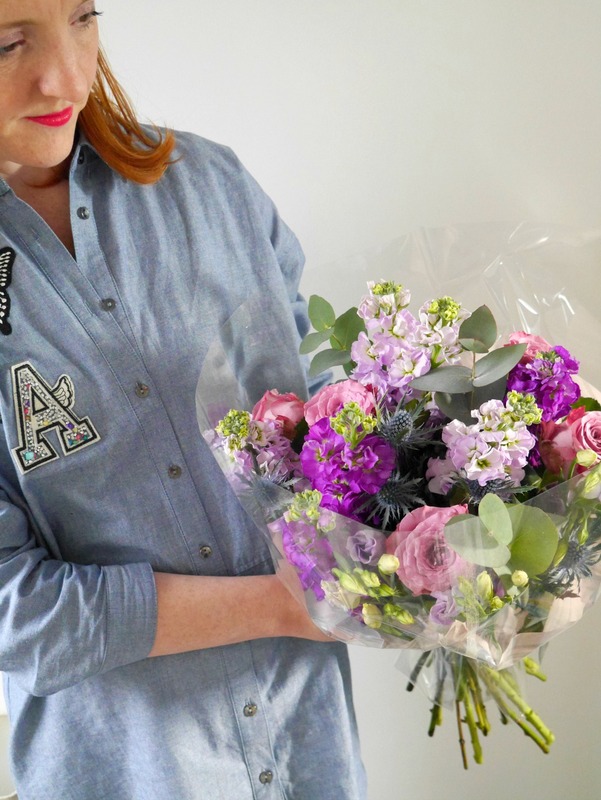 I love flowers – who doesn’t?! – but I’m pretty clueless about them beyond sticking them in a vase and hoping for the best. I’m quietly envious of people who have magical floral ways and can do things to make them look fabulous. 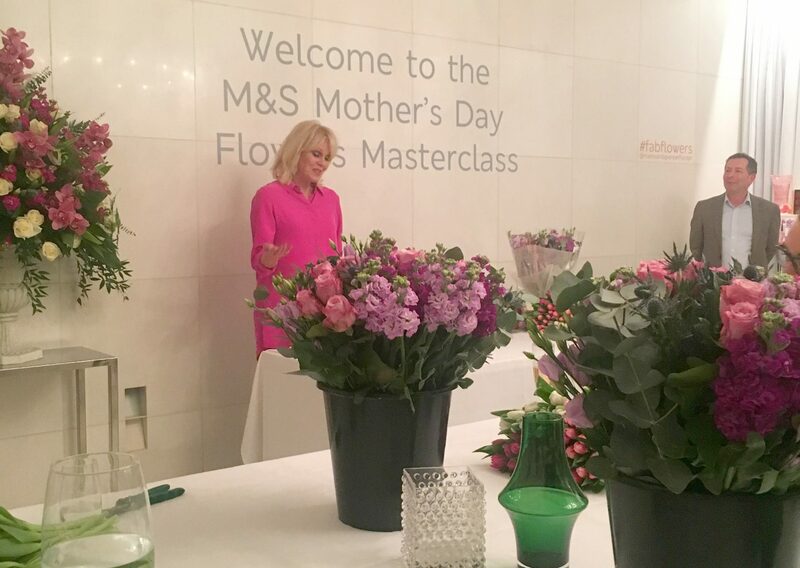 So I was intrigued to go along to an M&S Mother’s Day flower masterclass last week (especially as none other than M&S ambassador Joanna Lumley was going too). 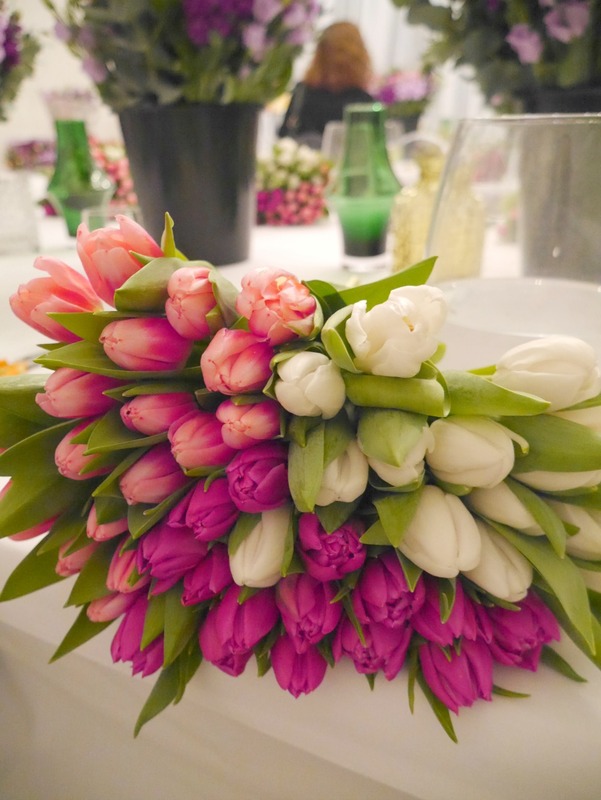 The masterclass was with Simon Richards, head flower expert at M&S (who gets to fly all over the world looking at flowers; what a job). We got to try our hand at arranging a couple of different bouquets, with help. Like most other people, I have a lot of love for M&S – the food hall is my happy place and I could talk for hours on everything from the salt crystal butter to biscuits and all the different varieties of bread in between (and forget cold toast, Percy Pigs were my post-labour snack of choice). We spend a lot of time in the Bromley M&S store at the moment both girls are currently obsessed with ‘the piggy cafe’ and it’s good leverage if we need to go shopping. I didn’t know though that M&S has championed Fairtrade for over 12 years and sell over 130 fair trade products including tea, coffee, wine and amazing Fairtrade sea salted butterscotch chocolate. It also offers some Fairtrade bouquets and the majority of flowers it sells are home grown – M&S tulips are all grown in Lincolnshire (they expect to sell over 26 million British tulips this spring) and daffodils are grown by the sea in Cornwall (they are best-selling spring flower; M&S expect to sell over 100 million of them this year). 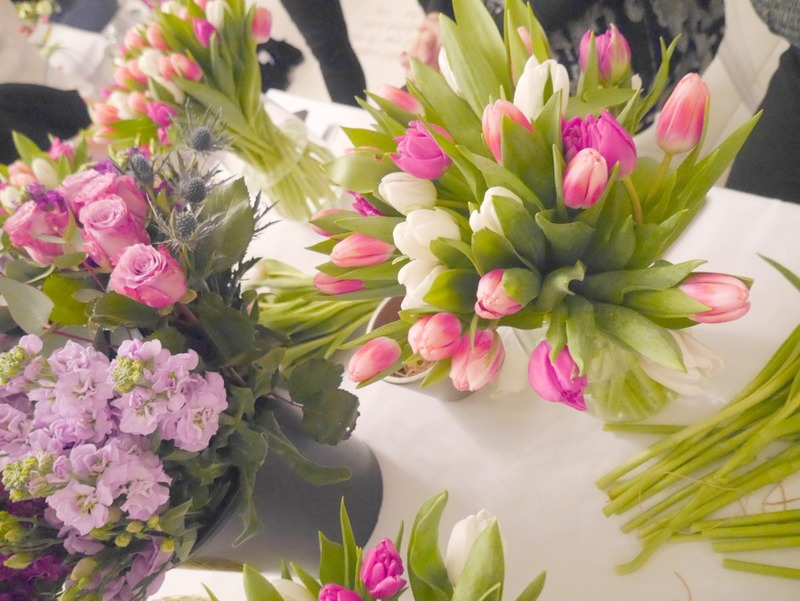 And did you know Mother’s Day is the busiest time of the year for M&S florists? 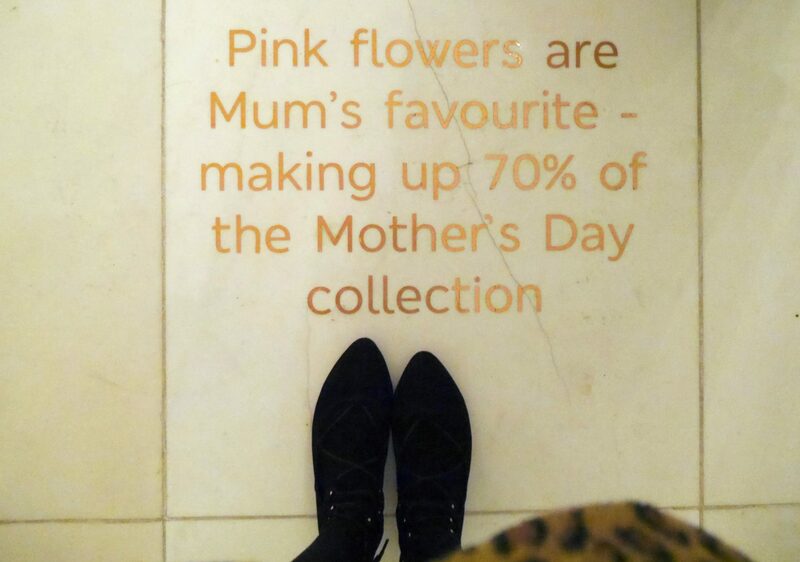 People spend 25% more on Mother’s Day than Valentine’s Day. 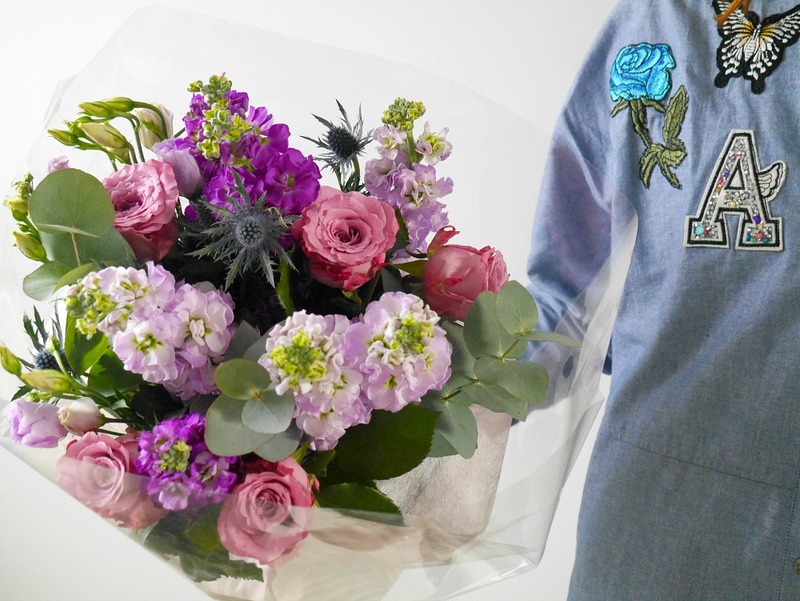 M&S expect to sell over 13 million flowers and will work around the clock to meet demand. 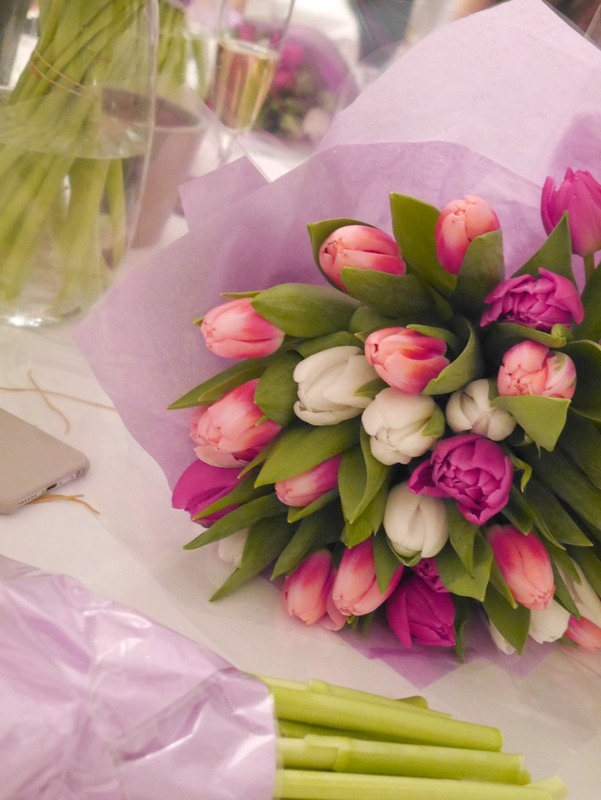 Flower facts; pink is the most popular colour Mother’s Day colour and the most popular stem is the pink rose. 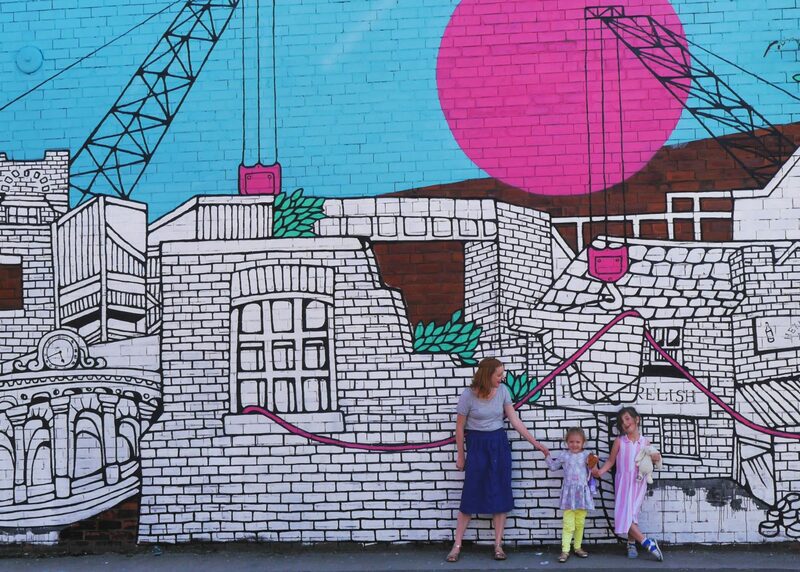 Don’t forget your mum on Mother’s Day (or your partner if you have small children! Hint hint). And don’t forget M&S if you want homegrown flowers and a beautiful choice of Fairtrade floral options. I am now filled with lots of knowledge to make my flowers look fab. And I got to the be *that* woman on the tube with flowers on the way home, which never grows old. These are so pretty! 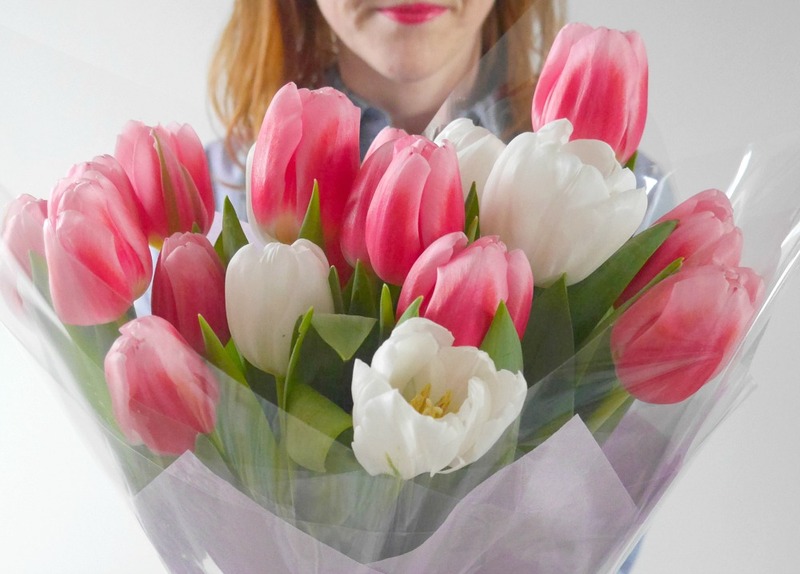 Love the useful tips too – I’m awful at arranging flowers. Also: JOANNA LUMLEY! !